A new crossword Challenge ! 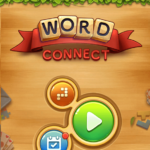 It is not finished with word connect game ! The developer did not finished adding new features to his game. This is something respectful and not surprising me. Chapter access by simple click to settings button. 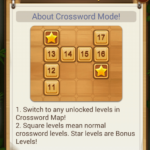 A Daily Crossword that add bonuses. How to access to this game mode and some hints. First of all, you have to know that this mode is unlocked only when you reach level 50 at the main game mode. If you do so, a new brown button will appear at the start screen. You just have to click on it ! ( see the screenshot below ). 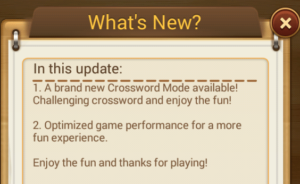 When you click on it for the first time, a message will appear : an easy explanation of the new mode ! It’s similar to a classic crossword. The words should be written from right to left of from top to buttom. While you are playing, you can switch to the map, by clicking in setting and the map ( second button from the right ). It will take you to the chapter screen. That’s all you have know about accessing this mode. I will give you now some hints you can use climb easily this crossword without spending your coins. 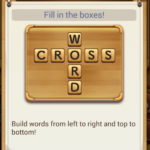 Start by searching a word connected with many others (in the middle ), it will make the level easier to be completed. 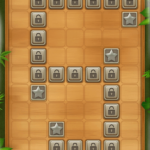 When blocked in a level and you don’t have coins, you should switch and play the other mode and vice-versa. Which letters do you have ?